There was a special Fishery Disaster declaration post Hurricane Michael. 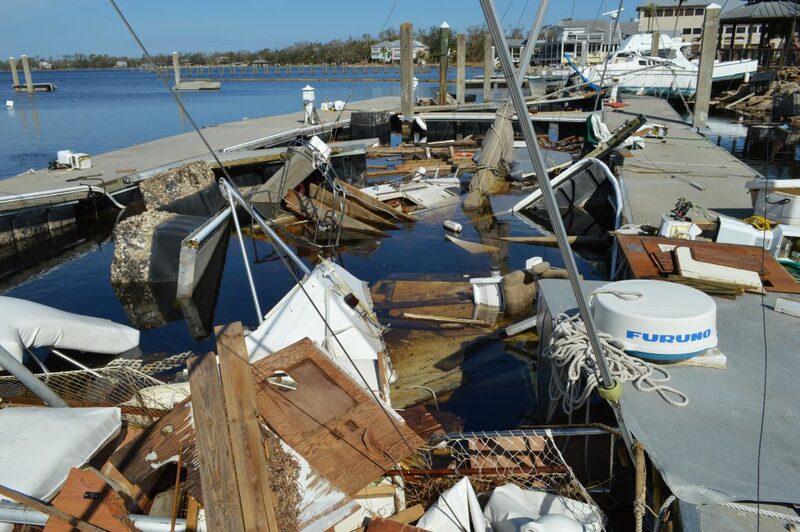 Here is an example of the damage to marinas and vessels that service our local fisheries. Unseen is the economic damage to fishing crews and supporting shore base businesses such as seafood processors, bait and tackle shops, and tourism related businesses. (Photo by Allen Golden). If you need additional information assistance for your Marina, Commercial Fishing, or For Hire Charter business related to Hurricane Michael, please contact your local UF/IFAS Extension Office and Florida Sea Grant Extension Agent.